A loan of $8,000 helped to boost my infrastructure, implement more speaker events which build my brand, and gain working capital for my business. I grew up in Appleton, WI being told that I could do anything I set my mind to. I was inspired by both of my parents. My father ran for, and served in public office and later defending clients in his law firm. After raising my siblings and me, my mother re-entered the workforce in a career that fulfilled her personally, professionally, and financially. I left the state for college proud of the forward momentum with which I was raised . I returned home many years later surrounded by talented women seeking part-time and flexible employment in their field. I have spent the last three years of my life to improving the professional development of women in my neighborhood. My goal is for my state to become a trailblazer for women leading to more women managers, business owners, board members, and CEOs. It helps a Trustee-backed entrepreneur to grow a women-focused co-working and community space. 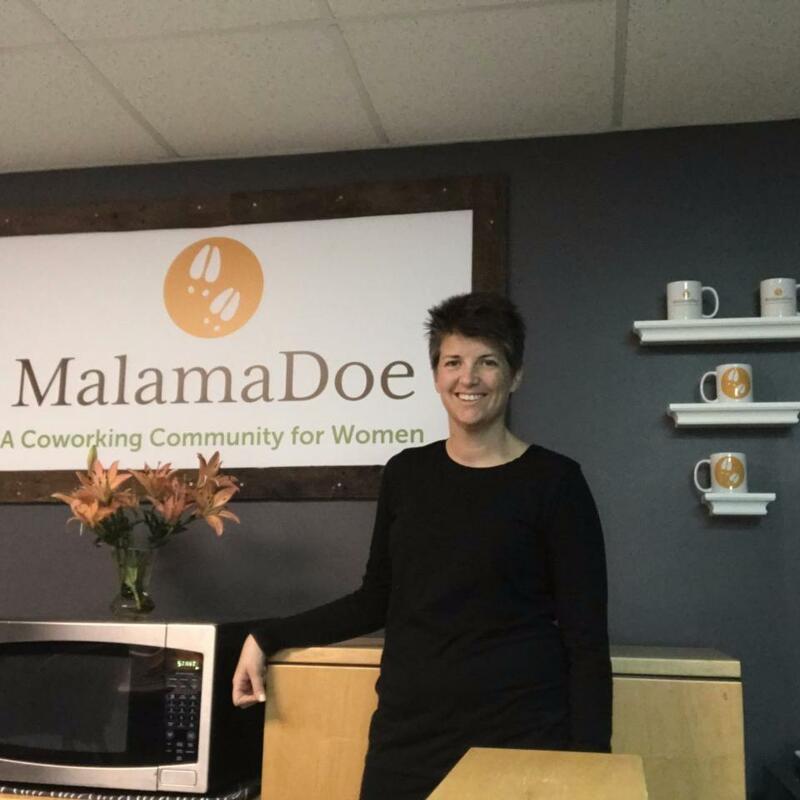 I decided to launch MalamaDoe - A Coworking Community for Women in 2014 after attending a women's conference at my alma mater. I knew so many talented women who could not find jobs with flexibility which they needed and wanted to be their own boss, but needed a supportive community to help them grow and take supported and calculated risks. The biggest challenge was explaining the concept of coworking to an audience which did not understand it and demonstrating why community is more important than covering costs as one does in a real estate model of space rental. My future goals for the business are to expand to two similar walkable communities and to create a virtual online community. I am the most proud of the support that I have received from the multitude of people who believed in how community matters for women. I do not have any business partners or employees. I will spend the loan on building out my website, improving the infrastructure in the coworking community (laptop, whiteboards, outlets, tables, printer), and promoting role models who speak to the community. As I invest in added infrastructure and advertising, our community membership will increase. As more community members join, I will benefit from having more female business owners promoting, growing, and leading by example. This in turn leads to the MalamaDoe members all benefiting from the organic community growth. My business will be impacted by this loan as I could hire contractors to assist in managing our community growth. MalamaDoe will then exceed the expectations of current members leading to increased referrals. Most importantly, MalamaDoe’s sales will grow through referrals from current members and area businesses to potential members. This loan will impact my life as I will be able to work more in the coworking community with the laptop. I will be able to fully focus on growing the business by contracting out extra work. Finally, I will be able to maintain adequate flexibility while taking supported and calculated risks. Why are you endorsing Sheila? Sheila continues to create a women's only co-working space that gives women a place to safely launch and grow their businesses. The social impact of her work extends far beyond just the women in the co-working space to their families and clients. It's my pleasure to endorse Sheila and support her work.